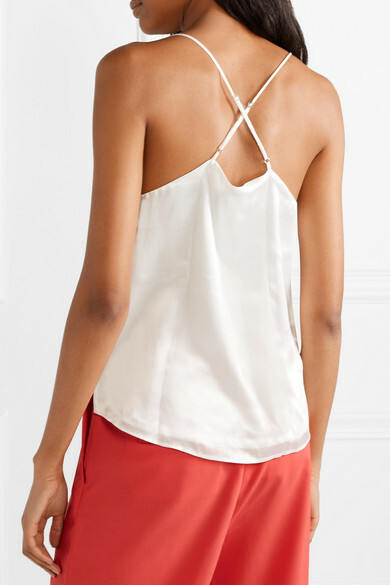 Described by the brand as "the perfect transitional top," Cami NYC's white 'Everly' camisole can be layered under a blazer at the office or styled with jeans and pumps for dinner. 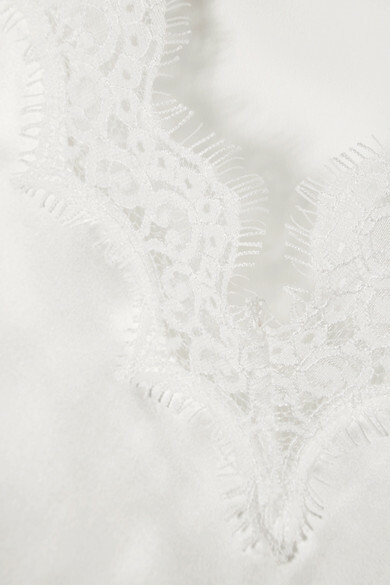 It's made from soft silk-charmeuse and framed with scalloped lace along the V-neckline. Adjust the delicate straps to find your perfect fit. 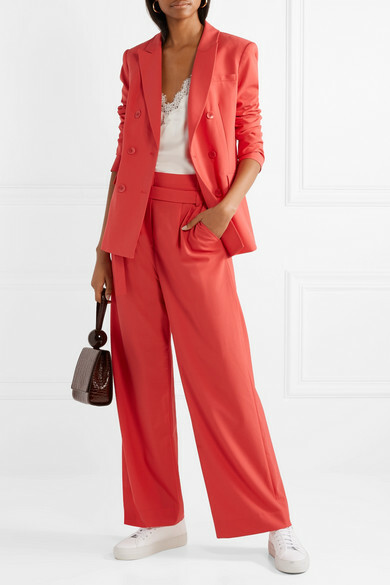 Shown here with: Tibi Pants, Tibi Blazer, BY FAR Tote, Common Projects Sneakers.